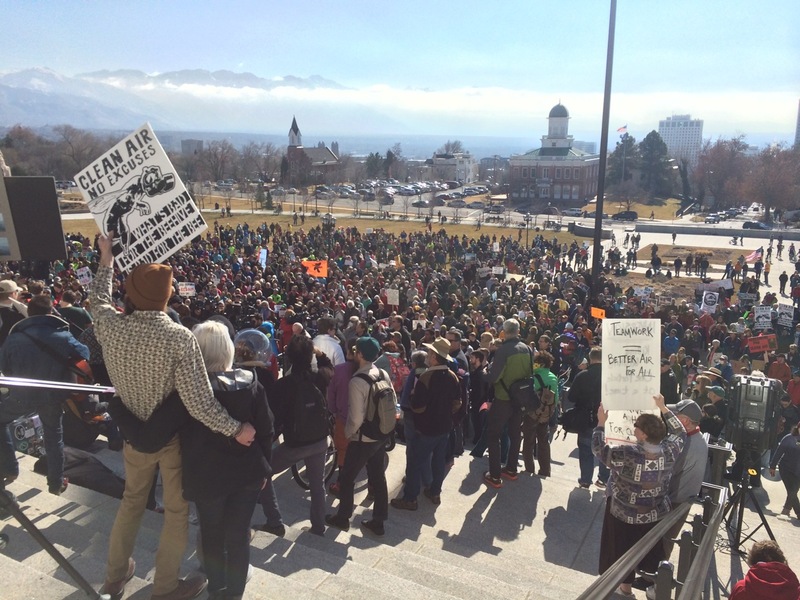 January 29, 2016 – In 2015, thousands of Utahns went to the Utah State Capitol to demand better air quality. The Clean Air, No Excuses Rally was a success, and got the attention of the legislature including House Speaker Greg Hughes. Clean air is crucial for cyclists, since we ride outside, and process more air than those in automobiles. With the 2016 winter inversion season in full swing, Cycling Utah presents a photo gallery of 98 images of the rally. We worked to shoot as many of the rally signs as we could, and included a number of shots of bicyclists rallying for clean air. The photos were shot on January 31, 2015. 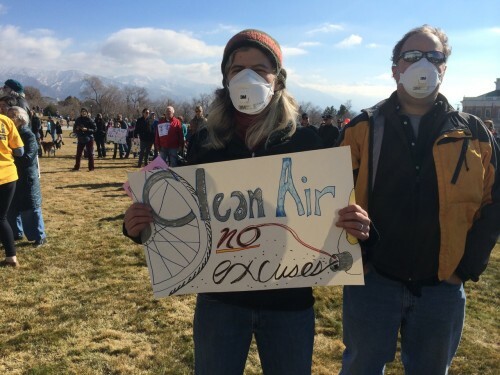 One Response to "Utah Clean Air No Excuses Rally 2015 Photo Gallery"